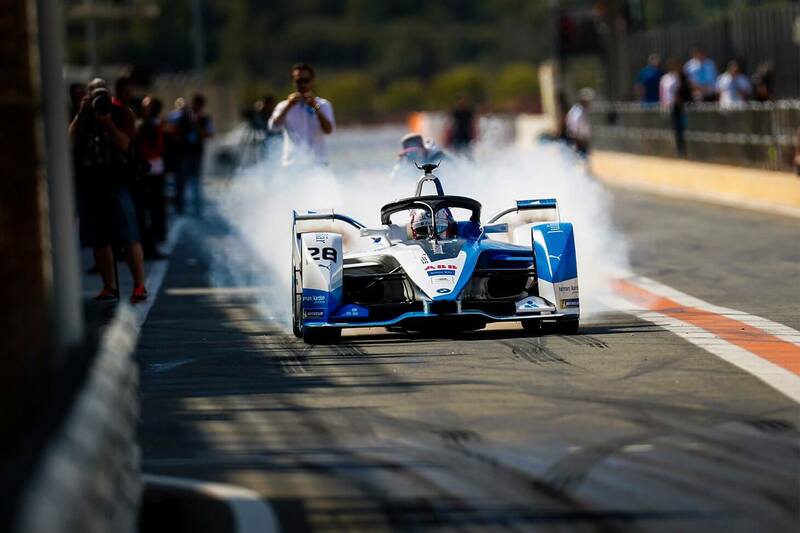 Formula E is booming—during the first electric series test day in Valencia it was already clear that a new age was dawning in the championship: a completely new generation of cars, new and prominent drivers, numerous features, and the starting signal for the voestalpine European Races. Here are the features which will make the upcoming ABB FIA Formula E Championship even more exciting. It was reunion time in Donington, England, with the race cars from the first four seasons slowly returning to the Formula E headquarters. In contrast to almost all other race series, only the leased, uniform chassis remain the property of the event organizer, and these are no longer in use as the two with which the drivers compete. Now, after 45 races, these cars are being retired, to be immediately replaced by a new generation of race cars—the Generation 2. These new cars not only transport their drivers at breathtaking speeds of 0 km/h to 100 km/h in 2.8 seconds, they also take the series to a whole new level. As the batteries are now capable of storing sufficient power to perform for more than 45 minutes, vehicle changes are no longer required. 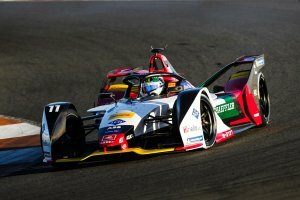 The vehicles changes necessary in Formula E had disturbed many motorsport purists, and were also a safety risk as well as causing occasional problems buckling up in the second car. In the last hours before the tests started the final changes were being made to the list of 22 participating drivers. 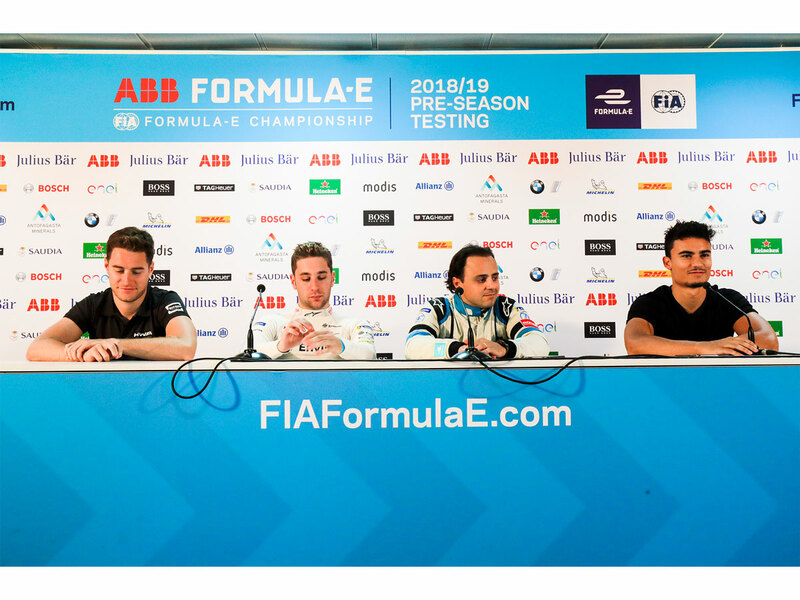 Pascal Wehrlein, who almost joined Lewis Hamilton in the Mercedes Formula One team in 2017, and Stoffel Vandoorne come to Formula E as two, still young, top talents. But it’s curious that the Belgian (most recently part of the McLaren Formula One team together with Fernando Alonso) drives for HWA, while ex-HWA DTM Champion Pascal Wehrlein joins Mahindra Racing; the German wants to restart his career, outside the Mercedes group. 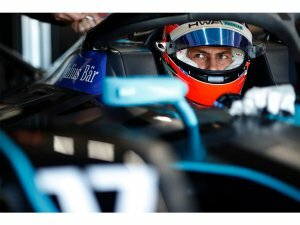 In turn, Gary Paffett, who became DTM Champion just 42 hours before the start of testing, moves over to Formula E together with HWA. And with Felipe Massa (Venturi), a former Formula One runner-up world champion joins the series. 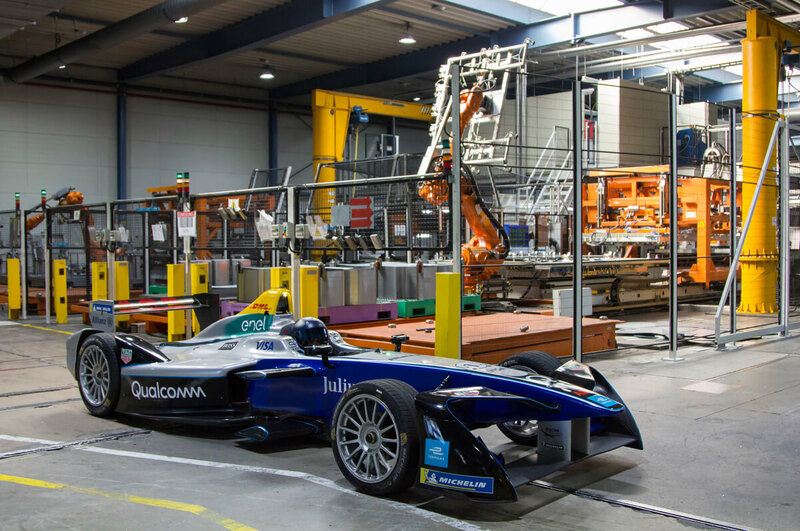 Formula E is in vogue, especially amongst the premium German manufacturers. That’s why BMW follows team champion Audi by officially entering its own works team. The two Bavarian marques also compete against one another in the DTM, which BMW’s head of motorsport, Jens Marquardt, believes is the perfect series combination. Consequently, the calendars for the two series have now been coordinated. From Season 6 onwards, however, the two Bavarians will face competition from Swabia: Le Mans record winner Porsche joins the electric series, followed by HWA as the official Mercedes operations team. Teams from all four “major” German luxury marques in a single series—that’s something never seen before! They are joined by another works team: Nissan steps in on behalf of the group’s sister company Renault, but continues to be run by the DAMS team which has already led Sebastien Buemi to the title. Apropos Toto Wolff: his wife Susie will now be his professional opponent. At the end of last season she became the boss of the Venturi team. “Now I know why she always listened so carefully while I was talking on the phone,” says a grinning Toto Wolff. She’s also the faster of the two behind the wheel, as the last woman to have taken part in official Formula One training as a driver. Of dual Austrian and Scottish heritage, there is no doubt that she’s got what it takes to be a good team boss, but you’ll never see her behind the wheel: she has always said that now she’s a mum, to one-year old son Jack, she won’t race again. She’s found great drivers for her team: Felipe Massa is joined by Edo Mortara, one of the best DTM drivers in recent years. Last year in Zurich was the first time a race was run in Switzerland. It was the first circuit race held in the country since 1955. Now the E-Prix is moving to the capital, Bern, and the race will enjoy a special status: just like the other races held in Europe—in Rome, Paris, Berlin, and Monaco—Bern is one of the„voestalpine European Races“ – Rather like the Grand Slam of Formula E, these races are run in fantastic settings in some of Europe’s most beautiful cities. For the first time in the history of the series, there is also the chance to win the title of European Champion of fully-electric motorsport. And there are new features for the races themselves: each race is now run over 45 minutes plus one lap. The extra point for the fastest lap has gone, replaced by an extra championship bonus for the driver with the most battery power left after the race. Plus the drivers can use a special “attack mode”. By driving through a specially marked activation zone, they can tank extra power and boost their performance from 200 kW to 225 kW over a short period. How frequently and how long they can do this varies from racetrack to racetrack. And of course there’s still the well-established fanboost, offering fans the chance to give a driver an extra power boost. Although neither energy nor ideas seem to be lacking from the makers of this series.